These habits come from the best practices we’ve seen in the healthy, growing churches that we’ve worked with over the past 15 years. Not only have we been helping other churches, but I’ve been fortunate to also help start and grow our local church through all of its stages – from 30 people in a temporary facility to now over several thousands of people in multiple campuses! I’ve been both on the outside, helping with the administration of these practices, but also on the inside – working through all of the many details in our local church as well. So it’s a privilege to bring these habits and practices to you and your church. Who are the new visitors from Sunday? How many people still need to go through our spiritual growth track? Who’s attendance is dropping off? The problem is that in many churches, that information is scattered in so many different places – spreadsheets, sticky-notes, emails, someone’s brain – that you can’t get answers to those questions! The goal is to put it all in one central location – easy to access, easy to search, so make it digital. There are several options here, especially if you are a little tech savvy, including excel spreadsheets, Google Docs, OneNote, Evernote, etc… Just make the sheets/columns/tables you need to store the information you have. The easy way is to use a church management system like Excellerate. Excellerate already has all of the screens, fields, searches, and reports you need to track everything about your members, visitors, classes, groups and more. Plus, it’s so easy to use, even non-tech-savvy volunteers can start using it without any training! You’ve made the decision, implemented a great system, now you just have to form the habit of feeding it. Do this either on a daily or weekly basis. It only takes a few minutes to enter new visitors, update any member information, etc.. One helpful idea is to think “no more paper” If you have new visitor cards, or sticky notes with emails or phone numbers, get them into your system ASAP where they are safe and ready for action! This one really belongs in habit #1 (Total Information Organization). But face it – money is such a huge factor in everything we do, individually and as a church, I think it deserves its own email. The goal here is to be 100% confident everything is being tracked correctly, but the problem is the amount of time and energy it takes to accomplish that. Think about it – every single contribution needs to be recorded for the correct church member, posted to the correct fund (general, missions, building, etc…), everything needs to reconcile with the bank, and we need to be able to print giving statements at any time. We have to know, at any moment, what the income levels are and how they’re trending. Yes it can be done with basic accounting tools, but if they’re not designed specifically for church accounting, it’s going to be inefficient and you’ll feel like you’re always fighting with the tools. To be an efficient, effective church, we need to use a tool that is designed specifically for churches and one that focuses on maximum efficiency of data entry. Data entry is really the most time consuming part of reaching that 100% confidence in our financial tracking. Churches can spend many hours or even days entering contributions every week! When we initially built Excellerate, one of our initial pilot churches had thousands of members contributing every week. It was literally taking them days to enter contributions into their old system. So when we designed the contribution entry screens, the number one goal was DATA ENTRY SPEED! We were able to eliminate all the extra mouse-ing, clicking and tabbing they had to do to enter each contribution, SAVING THEM HOURS. 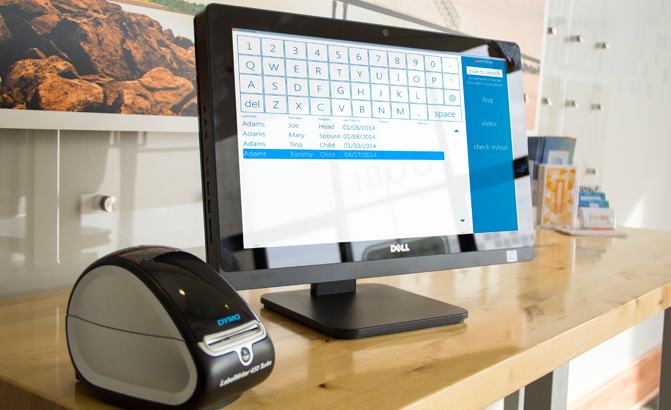 When they added a check scanner, they could now scan all of their checks, which automatically finds the appropriate member, stores an image of the check, and endorses it all in one click. This literally saved them days of data entry! One question you may have – Should the church management system have a FULL accounting package? Our research showed that most everyone actually liked their “overall” accounting solution (mostly QuickBooks), but they weren’t happy with the tracking of member contributions. Really all of your member information (including contributions) should be in one system so you have a full picture of your membership and can accurately report across all of their data. So, tracking contributions and pledges in your church management system is vital, but tracking all other accounting in another system is fine. This separation of data actually works to your advantage. QuickBooks does a great job of handling expenses, budgeting, general ledgers, etc.. And the church management system does a great job of handling member contributions. That separation means that only your accounting person would have access to the accounting system, and all of the other staff would have access to your church management system – the right people in the right system. And, it turns out there is very little data that would ever go between the two systems. Really only the total contributions received goes into QuickBooks. If you feel like you’ve been wasting too much time managing contributions, or aren’t feeling 100% confident everything is correctly accounted for, go ahead and get started on the right track with Excellerate! Here’s the 2nd Habit of Highly Effective Churches that we’ve discovered over the past 15+ years of helping churches. Healthy, growing churches put a high priority on the first time visitor experience. Of course, we all want to see new visitors come to our church, get planted, and flourish, but we easily forget what it’s like being a first-time visitor to a new church. They’ve never been here before so they don’t know what to expect, what to do, where anything is, what the service will be like, and so on. What we have to do is – perform an “I’m a new visitor” walk-through experience. We have to try to forget everything we know about our church and church in general, and put ourselves in the place of the first time visitor. Go through the full experience, from driving-in and parking, through the front doors, checking in kids, finding more information, all the way through the service and finally leaving the parking lot. Is it obvious where I’m supposed to go? Am I greeted by a friendly face, and asked if have any questions? Are there unfamiliar elements in the service or terminology that needs to be explained better for visitors? Basically, just remove any barriers to entry, and make them feel extremely welcomed. The other problem can be the human element – Sometimes we get so comfortable huddled up with the same group of friends each week, we neglect to reach out to new people to just say Hi and make them feel welcome. It’s one of those things you just have to constantly remind your church about. Continually inject it into the DNA of your church! OK, so your visitors had a great first experience, now what? Have a visitor follow up system in place. Visitor retention rate is highest when you follow-up within 48 hours. So the sooner you can follow up, the better. There are many different ways of following up with new visitors. The key is that you try a few different methods, and find what works for your church. Make sure you are measuring the results so you know how you are doing. So, for each follow up attempt you would record: date, method, result, etc… When you have enough data collected, go back through and evaluate what works and what doesn’t. There’s a famous quote “That which is measured, increases.” So, if we’re measuring our follow-up results, we will get better and better! 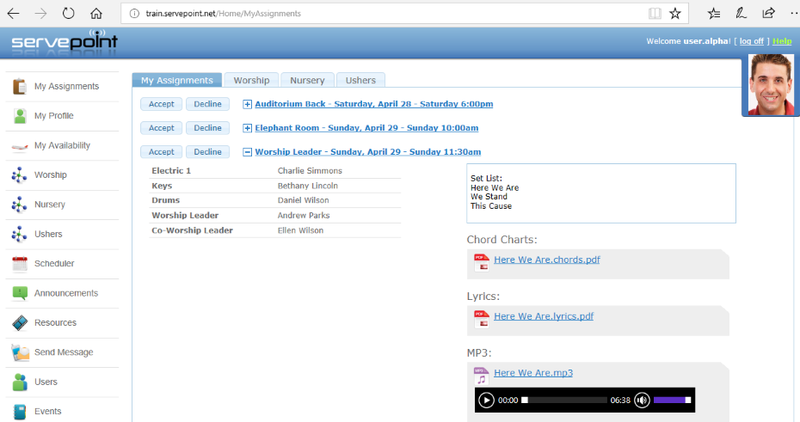 OK… Yes you can do all that by hand, but it’s so much easier with a good church management system. Yes, I’m ready to get our visitor follow-up up and running with Excellerate! Here’s the 3rd Habit of Highly Effective Churches that we’ve discovered over the past 15+ years of helping churches. Healthy, growing churches will say – “We have to continually build up new leaders.” Just as a city needs good infrastructure before it can grow, a church needs leaders so it can grow. Whether it’s small group leaders, volunteer team leaders, or youth leaders, the capacity of the church to minister to people increases with the number of leaders. Guess what? It doesn’t just happen automatically. You have to be proactive at developing new leaders to prepare for that growth. How do you do that? – Every church should have a spiritual or leadership development path in place for developing your members from new believers all the way to becoming leaders. But it’s not enough just to wait around for people to sign up for these classes, because the majority won’t do it on their own, you have to be proactive, and go after them. With Excellerate, this can be done in seconds! You can quickly pull up a list of people who completed one step, but haven’t moved on to the next step. You will instantly see all of those people who need to be contacted about moving on to the next class. From there, you can even hit the email button and send them all an email about the upcoming class. Or you could send personalized letters. You can do this throughout your development path, all the way up through your leadership classes. Don’t just wait for leaders to appear, proactively develop them! Here’s the 4th Habit of Highly Effective Churches that we’ve discovered over the past 15+ years of helping churches. Yes, that’s a bold statement, but it really is amazing how many ways small groups address your biggest needs in your church. Want to build strong relationships between members? Want more visitors that come back and become members? Need more help with the work your church is called to do? Need more leaders to help move your church forward? At the core, small groups are weekly/bi-weekly/monthly gatherings of small groups of people. There are many styles of small groups from discussion groups, recreational groups, outreach groups, etc.. But ultimately they are about people connecting and building authentic, healthy relationships that not only provide connection into church life, but are also a source of strength, encouragement and joy throughout life’s seasons. Connecting in and building relationships are huge factors when it comes to people getting plugged in to church life, and being in a larger group of people during a weekend service isn’t the best way for those connections to happen. Connections and relationships happen more naturally in a smaller settings where people are more likely to get to know one another on a deeper level. And just as running or working out with other people helps us stay committed, small group relationships keep us accountable and committed to church life. Small groups that are focused on common interests such as a running group, a new mom’s group, restaurant take-over, etc.. are a great way to attract new people to church. It’s easy to invite someone new to a group that they have an interest in. There they will meet others from your church, build relationships and naturally want to come to church! Small groups focused on a tasks, purposes, or outreach, is also a great way to get more people to help with the all of the things your church is called to do. Outreach groups are especially good at attracting people to help with a cause. People will gather for a purpose. People may not always join a small group if the motivation is just to get to know people. But, if there’s a specific purpose – like fixing the steps of an elderly person’s house, or doing some landscaping in a neighborhood park, people will respond to the call! Small groups are also great for developing leaders. All churches need leaders to help move the church forward. Leading a small group is a great first step in identifying and developing new leaders. It’s an indicator of who you can invest in to develop even further. Potential leaders just need an opportunity to take a step toward becoming a great leader in your church. Just like anything, if you’re going to do it, do it right! Your church is going to grow. You’re going to have more groups, more people in groups, and more things to track. The smart thing is to get the tools and processes in place now to help that growth, instead of trying to make a big change down the road. Track groups, leaders, interns/hosts, meeting locations and times. Track what happens in the meetings. Keep an eye on group health – growing/declining? Don’t let this overwhelm you – small groups are too important to pass up! Let Excellerate handle all of those administrative details for you. Don’t worry about tracking something wrong, or letting things fall through the cracks, Excellerate’s small group tracking will take care of it and will help your church develop healthy groups, leaders, and members! Here’s the 5th Habit of Highly Effective Churches that we’ve discovered over the past 15+ years of helping churches. Healthy growing churches have discovered the secret of serving others. It’s what we’re really all about right? Our purpose is best expressed when we reach out to help someone else rather than always looking in at our own needs. We can’t just wait for people to come to us, we have to reach out and show people that we care about them. When people see we genuinely care, it opens a door for us to share God’s love. From the church perspective, we need to be going outside of our doors, reaching out into our communities. There are so many ways to serve your community from simply passing out water bottles to painting a local school, you just need to adopt the serving mindset and open your eyes to the opportunities around you. You won’t have trouble finding help – remember from Habit #4 (small groups) that people will rally around a need! From the personal perspective, we need to look outside of ourselves and take advantage of serving others in our church. Every church has opportunities to serve, whether it’s being a greeter, working in the nursery, or serving on the media team. These opportunities also help people get planted in church where they will see their lives flourish! If by some chance you don’t have lots of serving opportunities, create them and make them visible! Remember it’s not just about the churches’ needs but also about what it does for those serving. Identify the needs – For the community serving opportunities, ask yourself “What can we do to serve the people around us?” For the church opportunities, ask “What are we doing on a weekly basis that we can turn into a serving position?” Once you have the opportunities, go through each one and write out a short description that you can use in your communication to your members to recruit people. Test-drives – Setup “test-drives” for each opportunity. This technique, also called “first-serves” allows people to test drive serving on a team. This is a simple, no-pressure, trial serving opportunity to give the person an idea of what serving on that team would be like. The volunteer is free to try it one time, and then try something else if that team doesn’t seem like a good fit. Volunteers are encouraged to keep trying different teams until they find a good fit. Make it all run like clockwork – So you’ve got a bunch of teams and serving opportunities, and lots of people getting involved. Managing all of that can get out of hand if you don’t have something in place to keep it all running like clockwork. Once again, Excellerate can take care of all of that for you! Here’s the 6th Habit of Highly Effective Churches that we’ve discovered over the past 15+ years of helping churches. Weren’t expecting that one? That’s not uncommon. We may not admit it, but sometimes we tend to put our next generation ministry at a lower priority than everything else. We can think that it’s just another area that we need to have covered, rather than an area that we need to excel at, and continually focus on. That’s a critical mistake and here’s why. Focusing on the Next-Gen keeps things fresh, fun and exciting. Would people rather go to a stale outdated church, or to a fresh, fun and exciting church? It’s obvious. By keeping the focus on the next-gen, we’ll continually make adjustments to ensure our church stays fresh and appeals to the younger crowd. This not only applies to the next-gen areas, but all parts of our church. This might include tweaks to our look, our music, etc… – whatever it takes to keep infusing new life into our church. And as more youth get involved, their creativity and energy will help continue the process. Focusing on the Next-Gen develops new leaders. As we’ve said before, our church continually needs new leaders to grow. Wouldn’t it be great to raise up new young leaders who have literally grown up in our culture? In our church, we constantly remind all of our kids and teens that “You are a leader” and we’re continually showing them the kinds of things leaders do. It’s not only about teaching leadership but even more important is allowing them to practice leadership. This means making room for them to lead. It may be allowing our kids to lead different parts of their service – praying for the offering, helping to lead worship, or sharing a testimony or mini-message. Focusing on the Next-Gen attracts new families. I can’t count how many times I’ve heard new families that have joined the church say, “We visited the church once and our kids had such a good time, we had to come back!” When a parent knows that their kids are being ministered to, and having a great time, you’ve touched their heart and have won over the whole family! So the key is focusing on excellent kids ministries, keeping them a top priority and investing in the next generation. Don’t ask an adult, ask a teen – When it comes to knowing what attracts the next generation, ask the next generation! Seriously, we think that we’ve still got it, and we still know what’s cool – we don’t. In fact, what I think is cool, my son thinks is lame, and some things that he thinks are cool – I just don’t get. I’m not saying to implement everything they say, but just make sure you consider their opinions and input! Budget for it – If you’re convinced that next-gen should be a priority, then make sure it’s a priority in the budget as well. It may take some resources to accomplish the goal, but hey, if it gets kids into church, it’s totally worth it! Safety and Security – Next-gen focus will also require a little extra in terms of safety and security. Typically this means having the procedures in place, and a secure check-in system for your kids. Excellerate check-in system will also give new visitors the confidence that their child is safe, and that this church has a high standard of excellence – first impressions are critical! Are you ready to focus on the next generation? Excellerate Check-In will take care of all of the messy administrative parts , and let you focus on the creative, fun, exciting parts! Here’s the 7th and final Habit of Highly Effective Churches that we’ve discovered over the past 15+ years of helping churches. Healthy, growing churches don’t just wait around for things to get better, they take Action! Once they identify an area that needs improving, they address it. This starts with making up your mind that you’re not going to let things slide anymore, and when opportunities for improvement are identified, you’re taking action! You may not have all of the knowledge and resources to fully implement a solution, but at least you take the first steps and do what you can now, and not put it off for later. If not, TAKE ACTION! Do something about it, like getting the tools you need to build the church you want! You don’t have to try to develop these tools and processes yourself. We’ve already invested 15+ years, building these habits and best practices into Excellerate Church Management, so all you have to do is take advantage of them. Already have data? We’ll help you import it! If you’ve made all the way through to this email, it means you are serious about improving your church. I know I’ve given you a lot to think about, but don’t worry. Just take the first few steps. 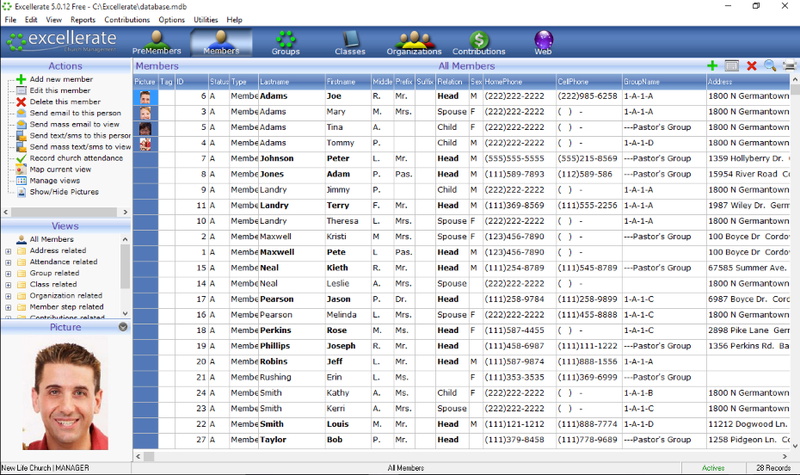 Get all of your member information organized into the Excellerate database, then slowly improve bit by bit in each area! Get the tools you need for a healthy, growing church!